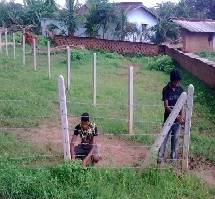 Proper implementation of this project, Group of 15 farmers having farm area in the range of 1.2 to 2.0 ha was selected. 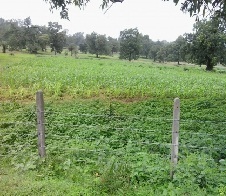 Farm fencing work has been completed on 24 ha of land through Backward Rural Grant Fund and labour payment for proper implementation of this work has been drawn by MGNREGA .Farmers are grown the Kharif Crops i.e. Paddy, Maize, Finger Millet (Ragi & Kodo) on their field to protect these crops from the animals and getting higher income. Establishment of tube wells is in progress and farmers are taken very much interest to increase the cropping intensity for increasing their income source. 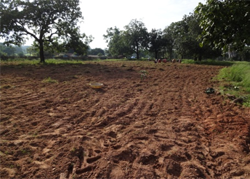 Group of 15 farmers having farm area in the range of 1.2 to 2.0 ha was selected for the Proper implementation of this project. 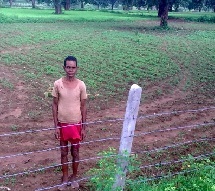 Farm fencing work has been completed on 24 ha of land through Backward Rural Grant Fund and labour payment for proper implementation of this work has been drawn by MGNREGA .Farmers are grown the Kharif Crops i.e. 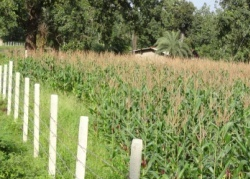 Paddy, Maize, Finger Millet (Ragi & Kodo) on their field to protect these crops from the animals and getting higher income. Establishment of tube wells is in progress and farmers are taken very much interest to increase the cropping intensity for increasing their income source.